Uplifting Legal Advice - Fears Disappear! Uplifting Legal Advice – Make Fears Disappear! If you are involved in a claim for personal injuries, or any other type of legal claim for that matter, then you will want to read my uplifting legal advice as it will help inspire and empower you during your legal journey. Since 1992, I have been practicing as a personal injury attorney, and more recently, have donned a second hat as an author and inspirational speaker. As an attorney, time and time again, I hear my clients express great fear of being involved in the legal process. Yes, being involved in a claim for personal injuries or any legal claim for that matter, can be scary, especially if you have never been through the legal process before. But let me give you some uplifting legal advice as to how to make your journey easier so that it doesn’t drain you physically, spiritually, and emotionally. For lawyers such as myself, the legal process seems mainstream as it’s something we do day in and day out. But to a client, such as yourself, it can present a totally different proposition. If you are involved in a legal claim, whether you’re a plaintiff or defendant, you might be afraid of having your deposition taken. You may fear undergoing a compulsory medical examination or attending a mediation. Or you may dread undergoing a trial of your case. If this is the case, I want to encourage you to utilize the power of positive thinking as a way of eliminating any fears you might have of the legal process. Whether you believe it or not, your thoughts are incredibly powerful as they help to shape your realities, for better or worse. By thinking positively, you can, in fact, reverse your negative thought processes and make your legal fears disappear. You can take control of your thoughts, actions, and reactions to create positive realities for yourself. Think of yourself as a great magician who wields the power to make your legal fears disappear. Envision yourself walking into your deposition, mediation, or the trial of your case feeling confident about the outcome. By doing so, you can rise above any obstacles or challenges presented during your case. You can come out the other side of your legal journey a stronger, more inspired person. 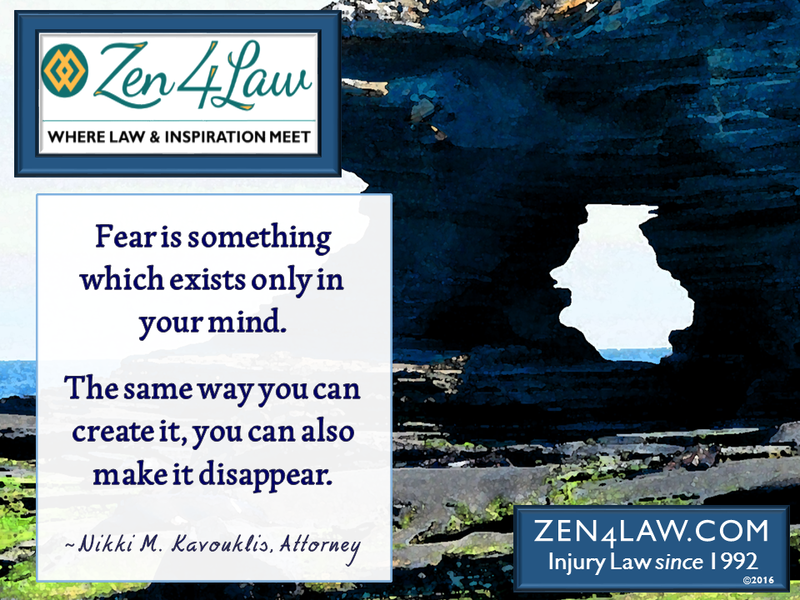 Contact Zen 4 Law for more information about its inspiring tool kit. Learn about Zen 4 Law’s legal services including representation for car accidents, slip/trip and falls, motorcycle accidents and other any type of claim involving personal injury. 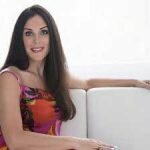 Also, tune into Zen 4 Law’s official YouTube channel to watch Attorney Nikki Kavouklis’ legal videos containing both her inspiring legal messages and powerful legal affirmations. All of the messages and affirmations are written and spoken by Attorney Kavouklis exclusively. Zen 4 Law is dedicated to uplifting and inspiring you!